John Mayer showed up in the middle of Taylor Swift's concert at the Staples Center in Los Angeles to sing "Your Body Is a Wonderland". Taylor Swift surprised the audience by having John Mayer come and perform with her at the Staples Center in Los Angeles on May 22, 2009 for Taylor's Fearless Tour. Check out the video of Taylor Swift and John Mayer "Your Body Is a Wonderland" duet below. The album is the follow-up to their multiplatinum, Grammy-winning CD "American Idiot," and like that album, deals with weighty topics. While "American Idiot" spoke to the frustration over the presidency of George W. Bush and the Iraq War, this CD speaks to the loss of innocence and confusion in today's society. R&B Heartthrob Maxwell Returns After 8 Years! R&B heartthrob Maxwell looks drastically different than he did 8 years ago when he released his last album, the platinum Now. Since his 1996 debut, Maxwell drew attention both for good looks and for his music, especially from women. He wore his hair in a massive wavy afro. He was frequently photographed shirtless, and if he was wearing a shirt it was unbuttoned. Now, he looks more conservative. He has a short hair cut. He wears sleek, dinner party attire. He sometimes dons those thick nerd spectacles, and is pictured in promo shots holding an eco-friendly coffee cup. But while Maxwell's appearance may play down his pretty boy attributes, songs from his new album, BLACKsummers'night, still offer a good balance of romantic mid-tempo ballads and slow jams. The album's first single, "Pretty Wings," is already No. 3 at Urban AC radio in just three weeks. The positive reaction was evident last week at an album listening party held in Beverly Hills. Music industry professionals were actually quite giddy to see the 35-year-old back on the scene... More about this news on Yahoo Entertainment here! Who doesn't love Tom Hanks? Not only is he a great actor, he's also charming and funny off-screen, and he seems like a good father and husband. Who wouldn't want to hang out with him? However, did you know these surprising facts about Tom Hanks? 1. He Inspired "In and Out" - Hanks helped fund renovations for the newly renamed Rawley T. Farnsworth Theater at his alma mater, Skyline High School in Oakland, California, in 2002. 2. He Wanted to Boldly Go Where No Man Had Gone - Tom's such a massive "Trek" fan that he talked Patrick Stewart's hair off about "The Next Generation" when they first met. 3. He's Related to Honest Abe - Tom and the 16th President, Abraham Lincoln, share an ancestor, John Hanks (1680-1740), who was Honest Abe's great-great-grandfather and Tom's great-great-great-great-grandfather. 4. He Gets Physical for His Roles - Hanks takes his craft seriously, adapting to every physical alteration required for a role. 5. He's Been Decorated - The actor received the distinction "Distinguished Public Service Award" for his role in the film "Saving Private Ryan." 6. He's a World Record Holder - In 2006 he entered the "Guinness Book of World Records" as the "Actor With The Most Consecutive $100-Million Grossing Movies". 7. He's Not Always Mr. Nice Guy In 1985, Hanks had been married to Samantha Lewes for seven years, and they had two children together. Then he went off to make a film called "Volunteers." He never expected to fall in love with fellow castmember Rita Wilson. Hanks has since admitted to having an affair with the actress while still legally hitched to Lewes. 8. His Brother's in the Act - Tom's younger brother, Jim, played the titular hero's cross-country run. The siblings' resemblance was striking, and thanks to a mountain-man beard, it was impossible to tell the difference. 9. He's Behind "Mamma Mia!" - The ABBA jukebox musical "Mamma Mia!" first hit London's West End in 1999. That's where Hanks and wife Rita Wilson first saw it and realized its big-screen potential. 10. He Collects Typewriters - Tom collects vintage typewriters. He has over 100 manual models dating from the 1930s until the last machines were manufactured. Even if you love previous American Idol finalist Jennifer Hudson, I bet you will hate the incredibly unflattering zippered harem pants she wore while performing on the "Today" show. Check the photo below. It is indeed unflattering to the eye as she looked she gained weight a lot. Gossip Girl Spin-Off Already Dead? This may be bad news for 'Gossip Girl' fans. There have been rumors circulating claiming that the spin-off of the hit CW series Gossip Girl is "now dead" after months of anticipation. The news comes at especially bad timing, as the network plans to air a backdoor pilot of the series, starring 'American Dreams'' Brittany Snow, this Monday at 8PM. That's bad... I personally love watching Gossip Girl!!! Two babies born at the same hospital, on the same day, given to the wrong parents meet 56 years later. On a spring day in 1953, two baby girls were born at Pioneer Memorial Hospital in eastern Oregon. They grew up happily, got married, had kids of their own and became grandparents. Then last summer their lives were turned upside down when Kay Rene Reed Qualls found out that she and DeeAnn Angell Shafer were switched at birth. They recently met for the first time and underwent DNA tests after a woman who knew both their mothers called Qualls' brother with her suspicion. The two have become friends and celebrated their May 3 birthday together. Recently, Qualls introduced Shafer to her work colleagues, calling her "my swister." "I'm trying to move forward at look at the positive," Shafer said. "You can't look back. It just drives you crazy." 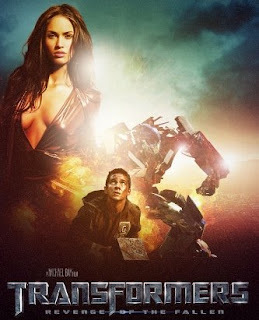 Transformers: Revenge of the Fallen, Sam Witwicky again team up with the Autobots against mortal enemies, the Decepticons. To learn more about the movie, watch Transformers 2 streaming online free movie preview below.